Obesity levels among pregnant women in England have reached epidemic levels, putting the health of their babies at risk, experts say. The National Institute for Health and Clinical Excellence, the NHS independent advisory body, has issued new guidelines encouraging women in England to attain a healthy weight before they get pregnant. The guidelines aim to cut through the often conflicting advice mothers receive about weight and exercise during and after pregnancy. 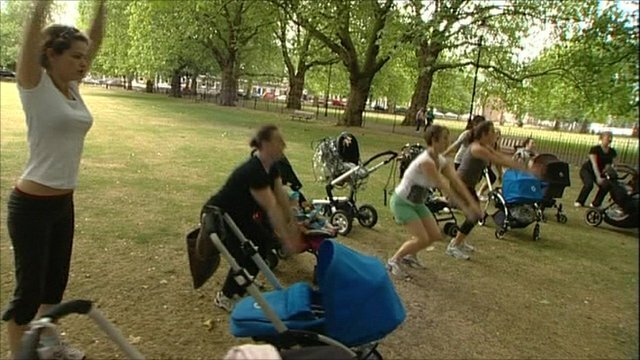 At a post-baby Pushy Mothers exercise class in Highbury Fields, London, mothers talk about the confusion they faced.